The Lenten season brings with it many baking traditions, the trick is to bake without the use of lard, and dairy. Very tricky, indeed. One of the most popular Lenten treats, that stay within the rules are pretzels, and I don’t mean a bag of crispy bar pretzels, I’m talking about a lovely soft baked pretzel covered in coarse salt, and dipped in honey mustard. Yum! Pretzels began as a popular treat inSouthern Germany, and surrounding areas, as well as in the U.S. In Germany they are known as Laugenbrezel (lye pretzel) because of the method used in baking these twisted lovelies. 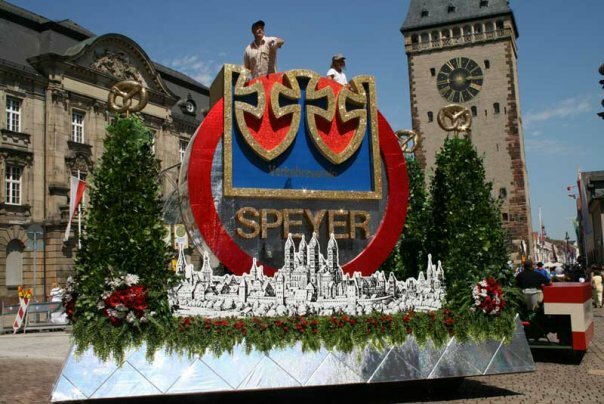 Lye pretzels are the theme for several German festivals including “Brezelfest” hosted in the city of Speyer, located in the upper Rhine region. This festival brings with it more than 300,000 visitors, and includes a parade in which more than 20,000 pretzels are thrown out to the crowds. 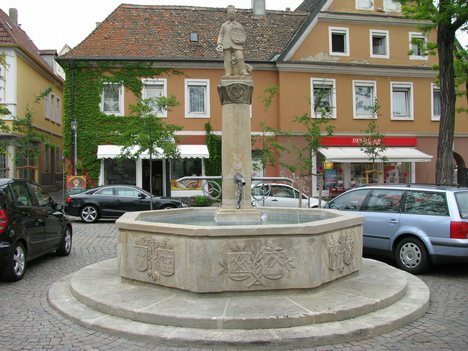 Speyer’s market square even includes a statue of a boy selling pretzels. 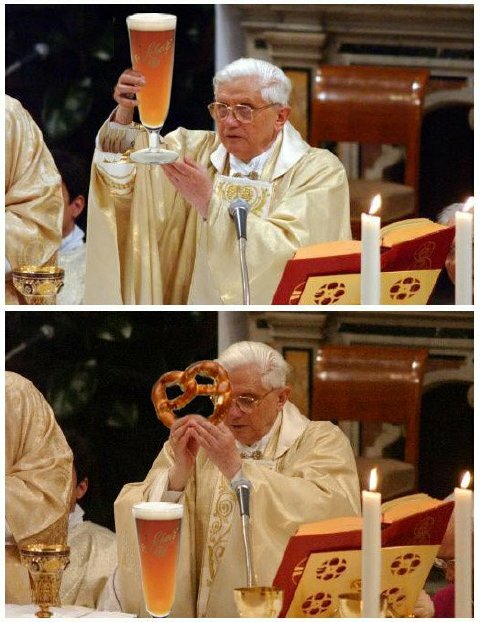 The catholic church regards pretzels as having religious significance both in shape and in the ingredients. 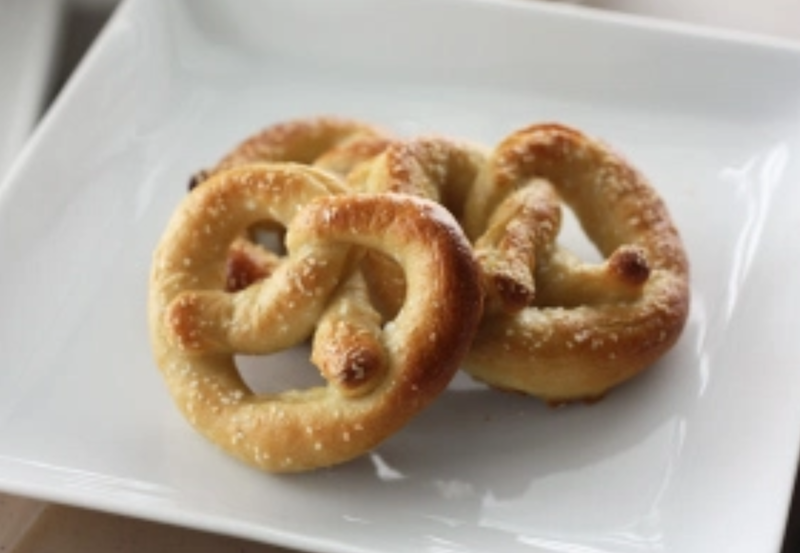 As I mentioned before most simple pretzel recipes exclude dairy, eggs, and lard which christian traditions forbid during the Lenten season, and as time has passed pretzel have become more closely associated with lent and easter. Many easter celebrations used to include the hiding of pretzels in the same way that easter eggs are hidden. German and Swiss German immigrants introduced pretzels in the U.S. These immigrants became known as thePennsylvania Dutch, and over time the pretzel bakeries gained popularity and could be found all over central portions of Pennsylvania. Today the average Philadelphian consumes about 12x the national average in pretzels per year. Pennsylvania produces 80% of the nations pretzels. Pretzels have become popularly known in Chicago, and New York as well. So, by now you can probably guess where I’m going with this post. Here is my recipe for a soft bread pretzel. Enjoy! In a large mixing bowl, dissolve yeast, brown sugar, and salt in 1 1/2 c. warm water. Stir in flour and knead dough on a flour surface until smooth and elastic. (This should take 5-8 minutes) Place in a greased bowl and turn to coat surface cover and let rise for 1 hour. Line baking sheets with parchment paper, and spray with nonstick cooking spray. After dough has risen, cut into 12 pieces and shape each piece as desired. Place on a baking sheet and allow to rise uncovered for 15-20 minutes. While you’re waiting bring baking soda and water to a boil, and preheat you oven to 450 degrees. When pretzels have risen, boil for approximately 3 minutes in your “lye solution” turning once until puffed, place on baking sheets and top with coarse salt. Bake in preheated oven for 8-10 minutes, cool on a wire rack, and serve! Previous Entry Mardi Gras, French for Fat Tuesday! Next Entry I LOVE Chocolate, there I said it! !